Chasing Davies: First Jump on the New Bed! 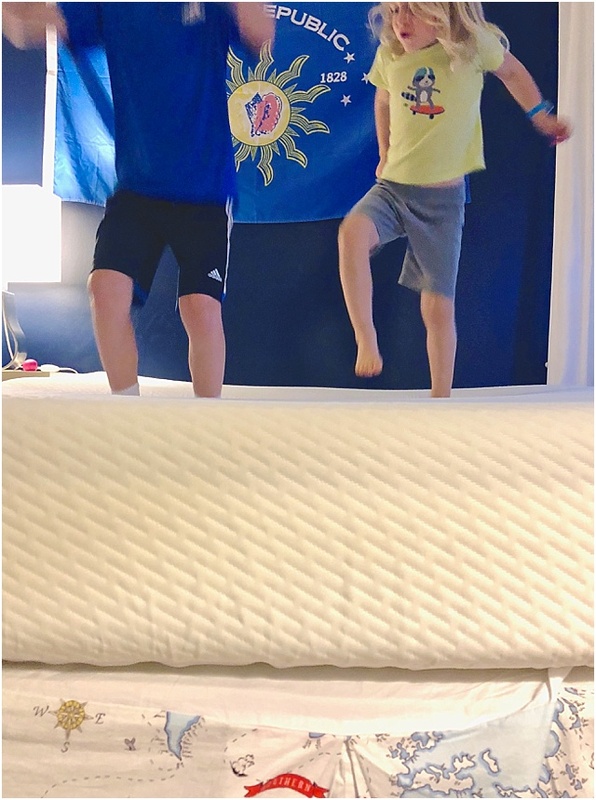 First Jump on the New Bed! 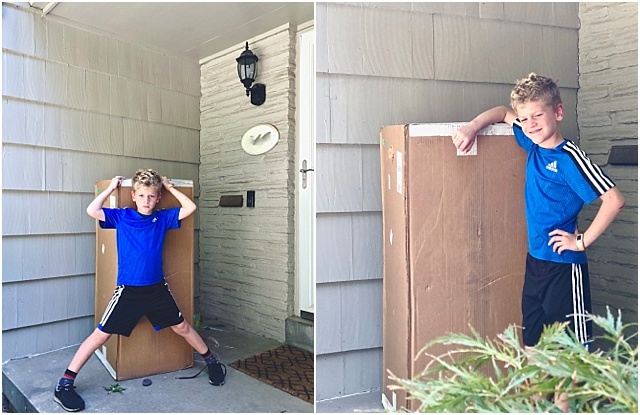 There are things that get my kids really excited that often surprise me... like in the early years, a simple box vs. the actual present. I'd laugh and wonder why I even bothered to get them a present vs. just wrapping paper and a box. 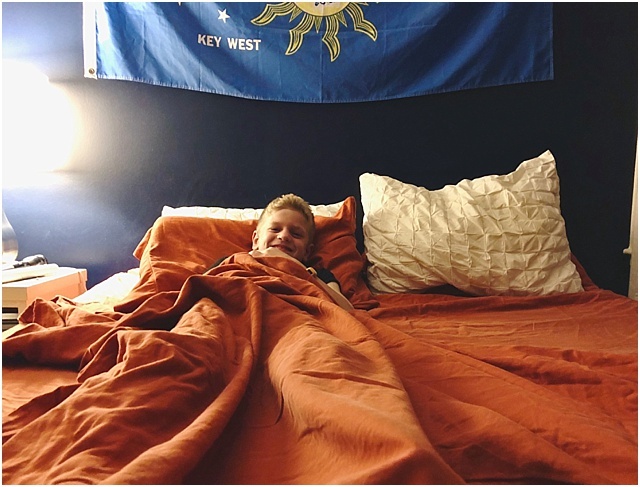 And recently, a new bed for Liam was the talk of the week! 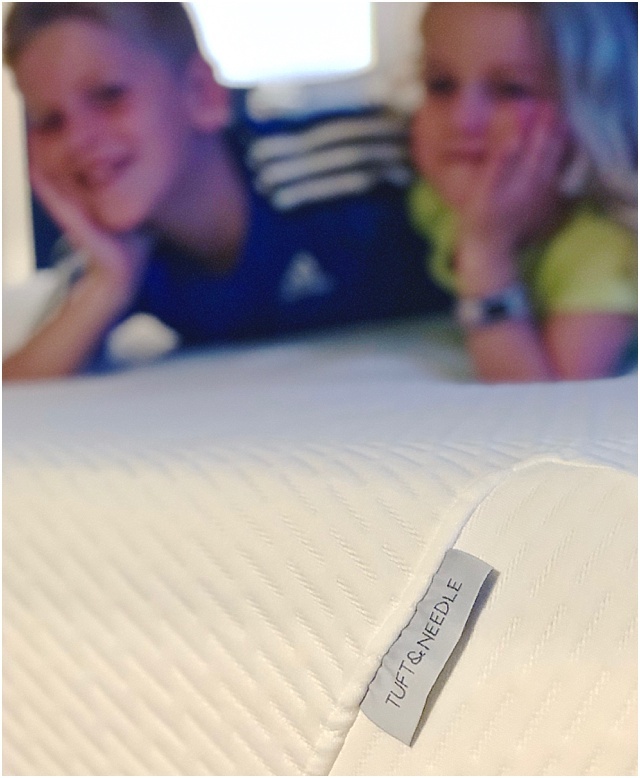 Now, I concur in the excitement, as a good bed is one of the most important things to how well we can live the rest of the day, but their excitement was through the roof. 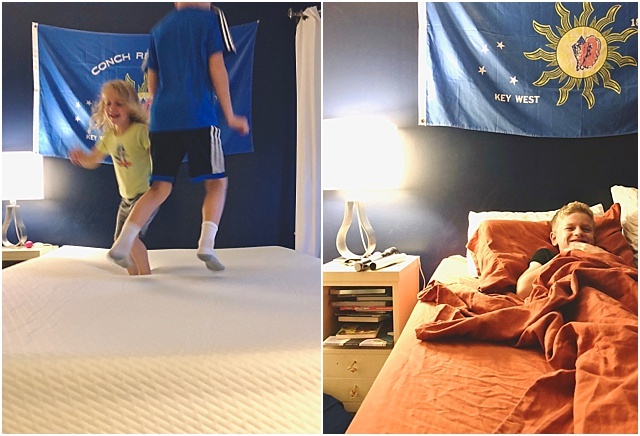 Liam's bed was the oldest in our house, and we also use that bed as our guest bed when we have family visit - so when Tuft & Needle offered up the internet's most love mattress and Amazon's Choice bed to review, I jumped at the chance. 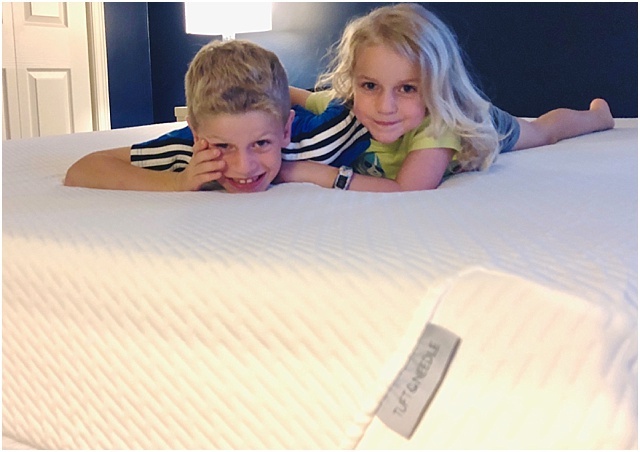 And because their mattress shopping and buying process is so easy, it was painless. You can see below the process, but it really was as easy as it sounds and looks. We got a queen size one for Liam (fun fact, we actually all have queen size beds - even my and my husband! ), and it arrived in a big box on our front step less than a week after it was ordered. My husband and I easily got it up to my son's room, my husband unpacked it with little helpers and we rolled it out. 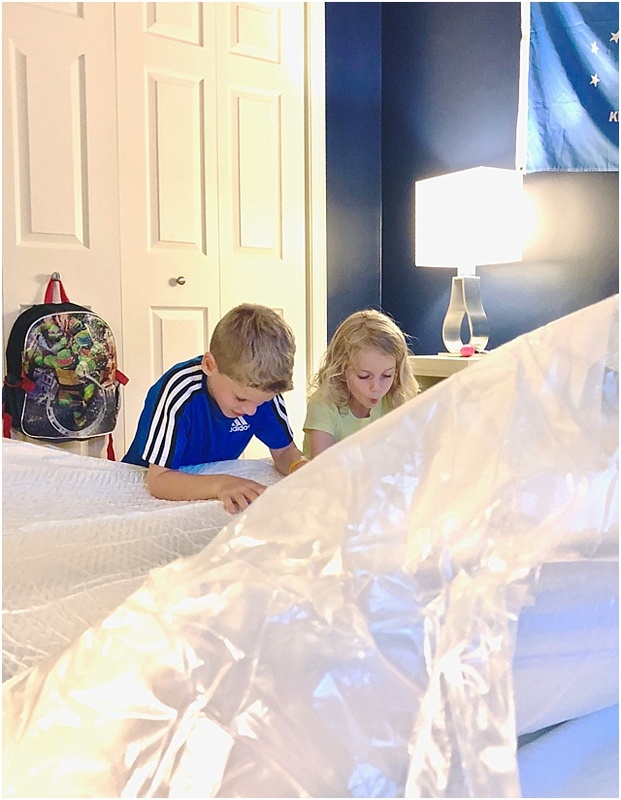 The kids were very excited to watch the mattress literally come to life, and after just a few minutes of it expanding into what now looked like a real mattress, the kids broke it in. 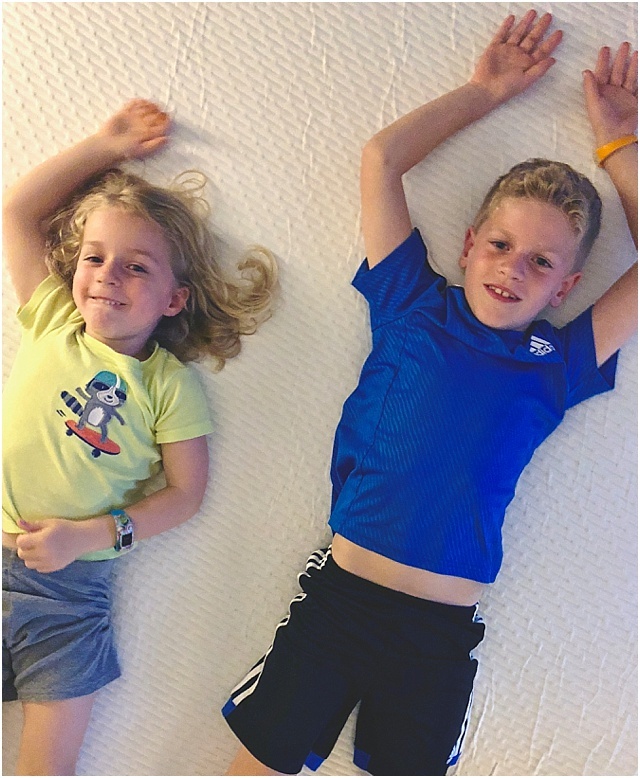 We just placed it on our existing box spring, but with this adaptive foam bed, you actually don't even need a box spring, you can use a more supportive frame like this, or you can get their box replacement and use a traditional bed frame. You have 100 nights to test out your new bed + a 10-year warranty, so really no pressure. And so far, Liam is loving his new bed!